It’s common knowledge that sometimes customer service is not high on the agenda for many F&B outlets here. A friend of mine once said ‘If you walk into a restaurant and the staff notices you, you should be happy. And if you get your menu within 5 minutes, it’s a miracle!” Granted, not all restaurants are THIS bad, there are still some gems scattered around the Klang Valley. That’s why I’m glad that TimeOut KL has added a new category this year for the TimeOut KL Food Awards: Restaurant with Best Service (Bloggers Choice). I’m so honoured to be invited to nominate a restaurant. After scrambling my brain for days for possible candidates, I was glad that we paid a visit to Loco at Changkat Bukit Bintang just before the deadline, as it ticked all the boxes of what good service is all about. So let’s talk about why this restaurant deserves the nomination. We were greeted warmly as soon as we set foot in front of the restaurant. The staff were welcoming and promptly directed us to the corner table with the comfy couch. 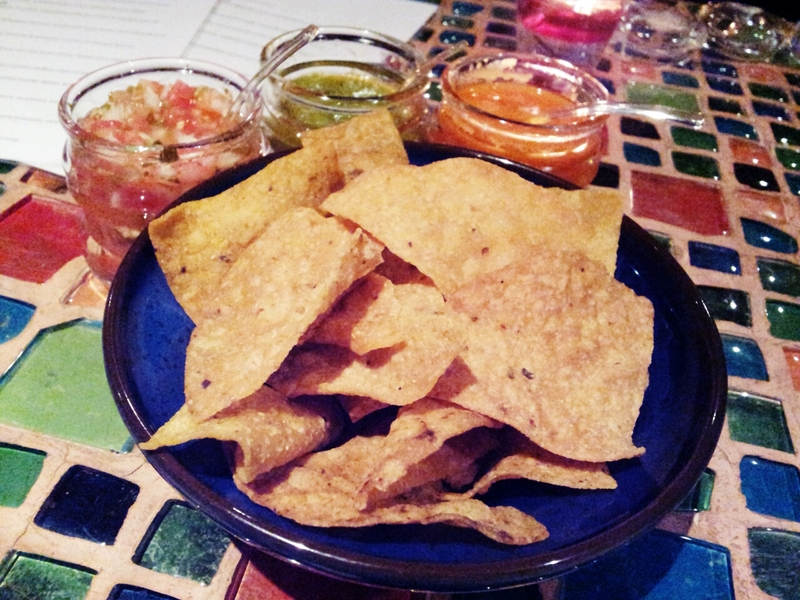 A bowl of deep fried corn chips promptly arrived on our table with 3 types of Salsa even before we had the time to look at the menu. How did they know that I was starving? According to the staff, the Tortilla Chips here are actually handmade by a Mexican lady and they get all their supplies through her. Certainly they taste heaps better than those out of a regular packet. The waitress who looked after us, Sweety, really lives up to her name. 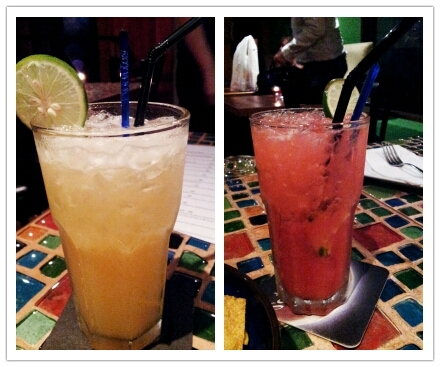 She recommended the Rock Melon and Honey Margarita while Frank, my partner, grabbed a Raspberry & Chili version. I liked both but we did order 2 more Raspberry and Chili Margaritas to follow. The chili kick is rather powerful. There are 2 shots of Jose Cuervo Gold and 1 shot of Cointreau in each Margarita, making them stronger than most. Sweety was also rather informed about their menu and was able to answer all of my questions about portion size and the ingredients of the dishes. It didn’t take long for us to decide on our choices. Although I’m not usually a big fan of prawns, this dish attracted my attention. I’ve always seen fish used in ceviche but have not tried the prawn version, and to serve citrus cured seafood it’s got to be really fresh as there won’t be an actual ‘cooking’ process to kill bacteria. 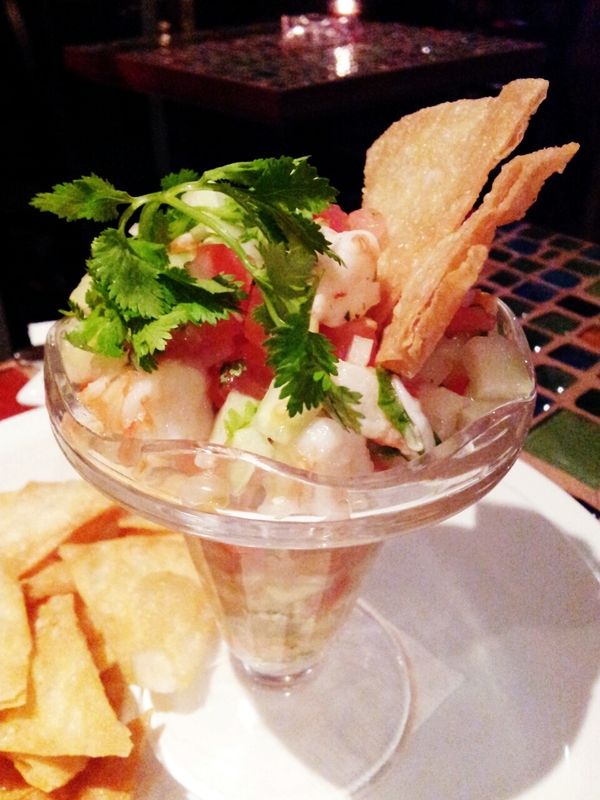 This comes with tangy pico de gallo, spiked with some chili. It was really refreshing. The prawns were bouncy, zingy, hitting all the right notes. Portion is rather large for one though so keep this as a sharing dish. I was really impressed with the Chili Con Carne, it really packs a suckerpunch of flavours! A simple combination of beef, kidneys and tomato based sauce (I want to know what their secret spices are). They could pull back the salt level though, I had to mix a little bit of sour cream in it to tone down a little. If Frank sees Nachos on a menu, he has to order. The nachos at Loco are made the traditional way with chipotle and roast tomato salsa, avocado, jalapenos, cilantro and plenty of cheese. On the side we have the Guacamole and Sour Cream. The handmade tortilla chips made another appearance. 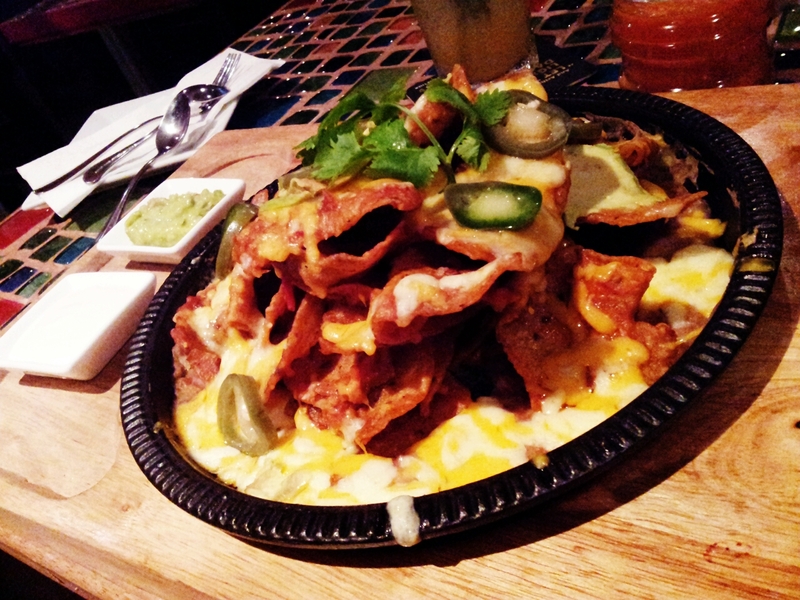 Claiming to be an Expert on Nachos, he rated this the BEST Nachos in Kuala Lumpur. Well, isn’t that something? The Fish Tacos come highly recommended and I was close to not ordering because there are supposed to be 4 Tacos for the serving, Frank doesn’t eat fish, and I was already feeling quite full. But the kitchen was happy to serve me a single tacos for a reduced price, Rejoice! I love a restaurant that can accommodate a customers’ needs. The fresh dory fillet was served with lettuce, pico de gallo, avocado and mayonnaise, all wrapped up by a soft flour tortilla. And boy was it good! The flavours were subtle, definitely fresh, the fish just melts in your mouth. I was just sorry that I couldn’t have more than one. 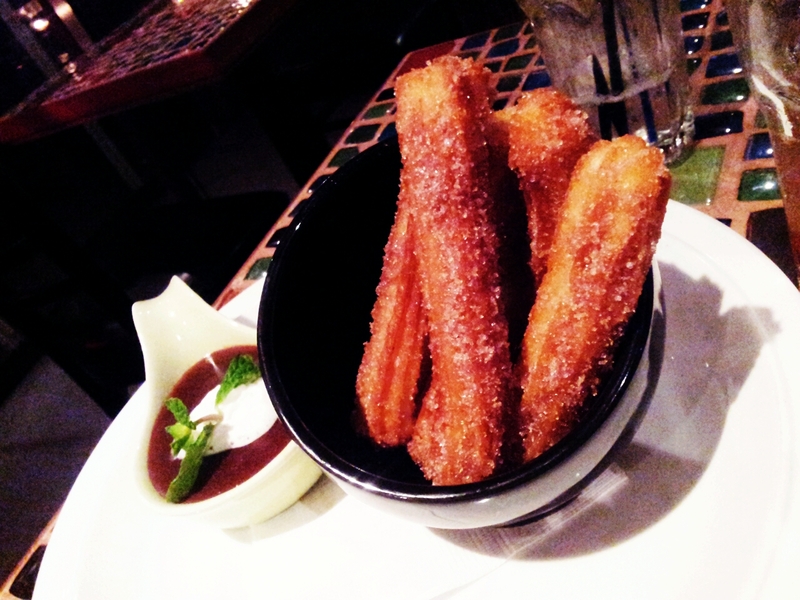 Even though my stomach was close to the point of explosion, I simply could not resist these churros. Deep fried dough with melted chocolate, how to say no?! They were absolutely gorgeous, crispy on the outside and a little chewy. I shook off quite a bit of the sugar but Frank was happily chomped them down as they were. I should have asked though if they could use a dark chocolate dip instead of milk chocolate. A perfect end to a gastronomic journey. I should also mention that all the dishes arrived quite quickly. My second margarita was served frozen instead of on the rocks, and they were quick to rectify this and brought me back a new one. The ambience is generally cheerful, with occasional cheers from the crowd as the Olympics was on TV. We walked out of Loco happily stuffed and sure to return. The service stands out as one of the best I’ve experienced over the past years in Kuala Lumpur. Impressive. They don’t have a specific kid’s menu but the chef (who is from Mexico himself) is happy to cater to your needs. Loco is Disabled Friendly as long as you stick to the downstairs dining area. Dear friends and readers, as there is also a voting system involved, do head over to Time Out KL’s website to vote for me. Meanwhile, you can also check out the other nominations and vote for your favourite restaurants! The service was very good, in fact it was exceptional. 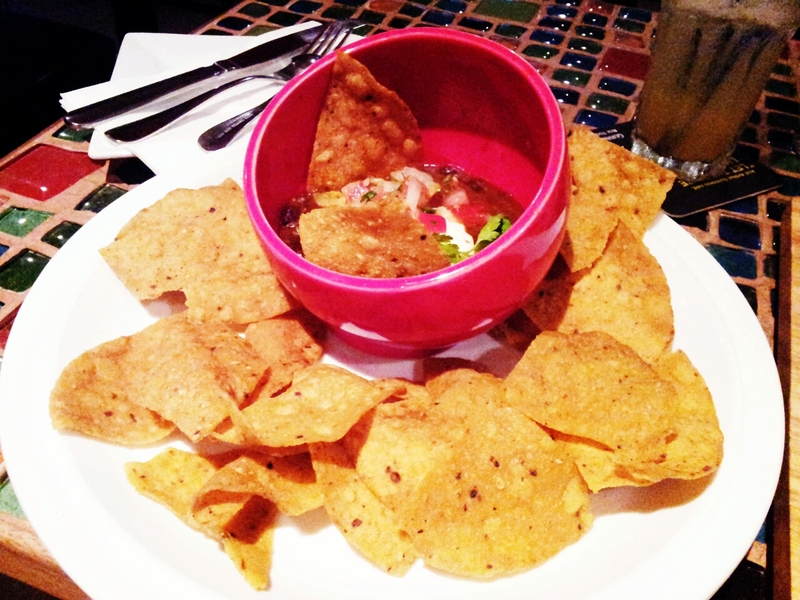 And it was good to see a Mexican chef behind a Mexican kitchen, something that doesn’t happen often in KL. I have to say Nachos and Margaritas won me over pretty easily. Couldn’t fault the place and look forward to next visit etc. 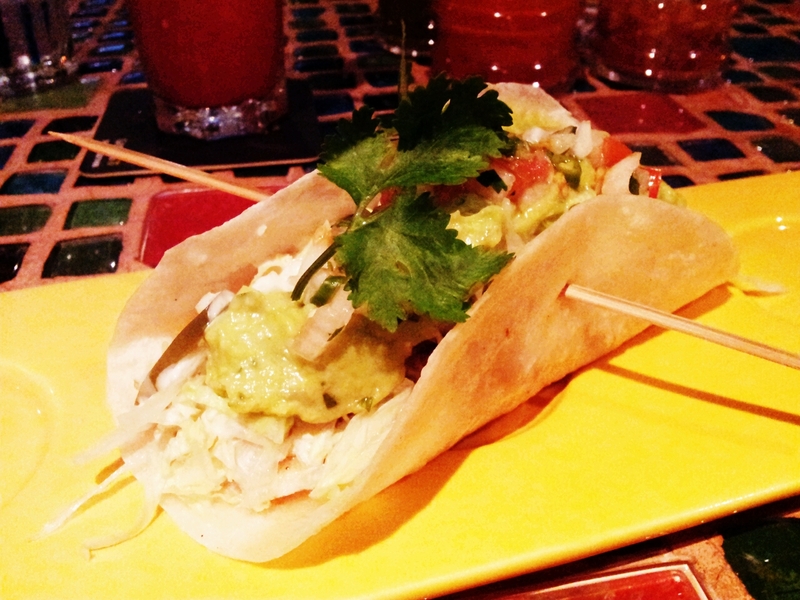 2 words for me: Fish tacos! This restaurant looks sensational! Great write-up and review..and the photos..OMG..drool! Wish I lived close so I could check it out! Thank you! This place is dangerous for my waistline, everything tastes so good! voted for you, no 19! hopefully i can find some time to drop by this place the next time i’m in kl. Would like to feed your blog, but it seems that your RSS Feed is down.